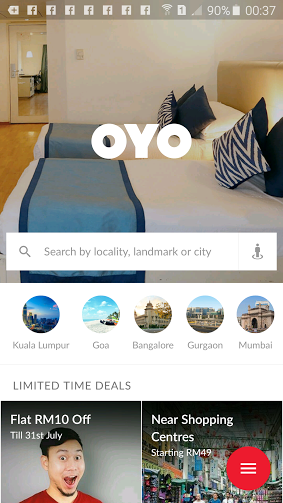 Book Your Hotel With OYO. 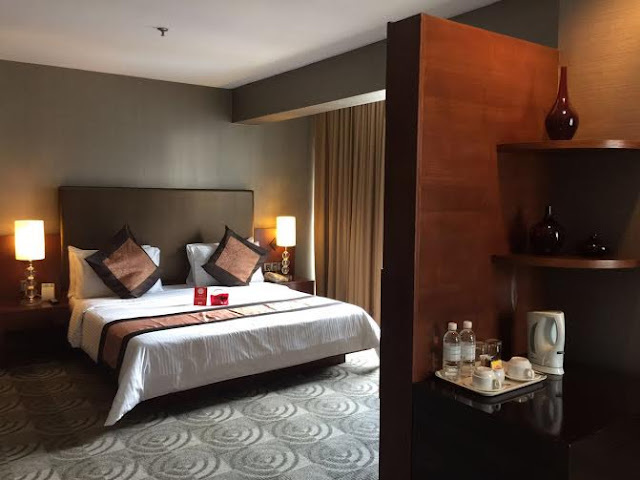 It's usually very hard to book a comfortable hotel for less than RM 100 per night. 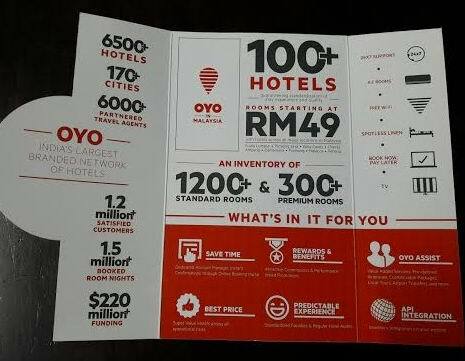 Now with OYO, many people can save money and still stay at a comfortable hotel. This means more family travelling for me! 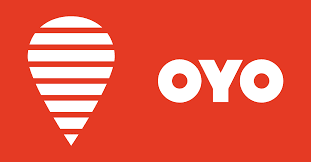 OYO was launched in India in 2013. 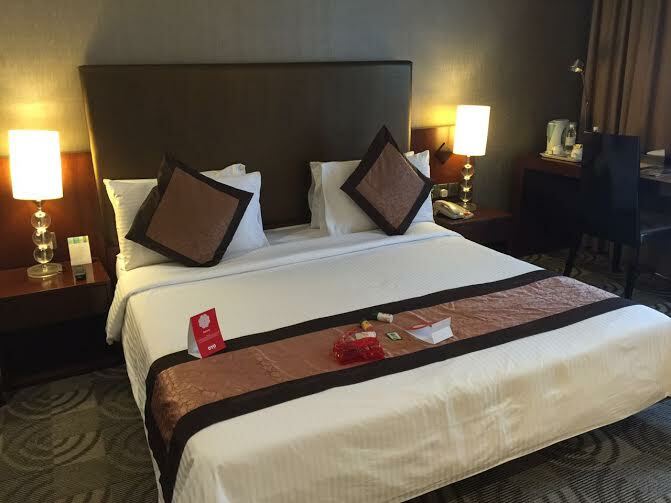 It is India's largest branded network of hotels and aims to be Asia's largest branded network of hotels. 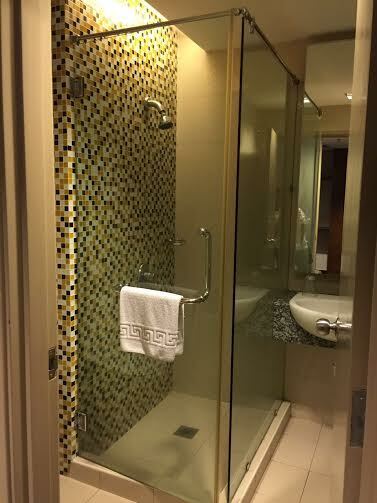 It's network currently spans over 6,500+ hotels in 180+ cities. OYO started operating in Malaysia since January 2016 and currently have 200+ hotels and 5,000+ room inventory spread across Kuala Lumpur, Klang, Petaling Jaya, Rawang, Seremban, Shah Alam, Subang, Penang, Malacca, Johor Bahru, Langkawi, Ipoh, Taiping, Kuala Kangsar, Kampar, Seri Iskandar, Kota Kinabalu and Cameron Highland and very soon across Malaysia at an extremely rapid pace. OYO promises comfortable, affordable stays which include air conditioned rooms, complimentary WI-FI and 24 x 7 customer service support. 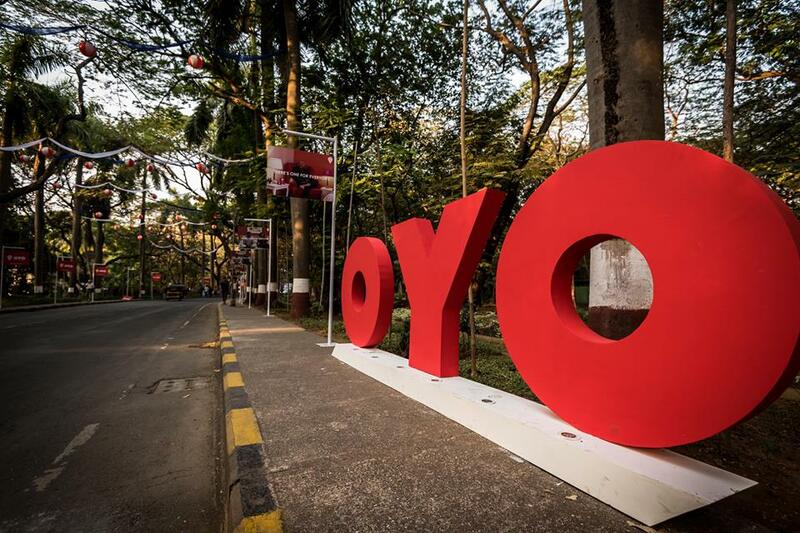 OYO is backed by the world's leading investors including SoftBank Group, Lightspeed India, Sequoia Capital and Greenoaks Capital. It has also received many national and international awards. 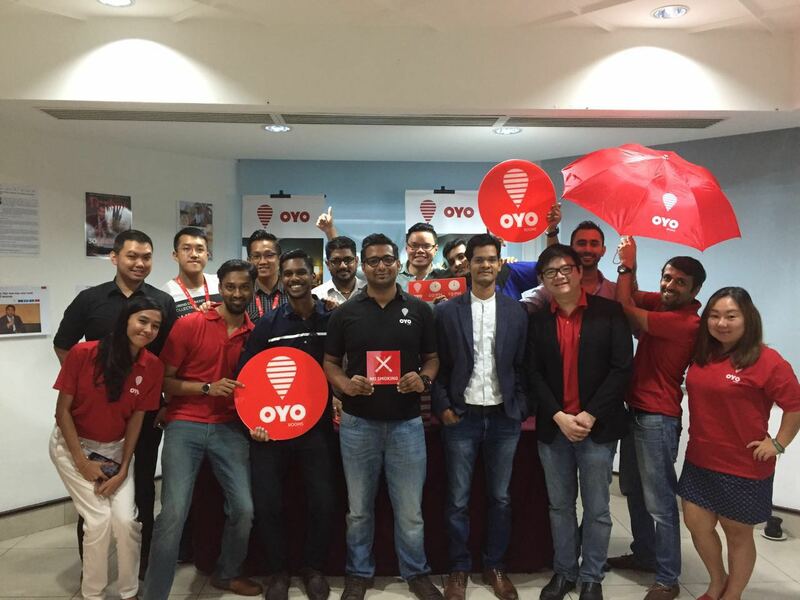 OYO was founded by Ritesh Agarwal, the first Asian resident to be accepted to the Thiel Fellowship (started by Paypal founder Peter Thiel). He was recently featured in the Forbes 30 under 30 list in the global, Indian and Asian edition under the Consumer Tech category. Mr. Harshit Vyas from India explaining how OYO works in India. 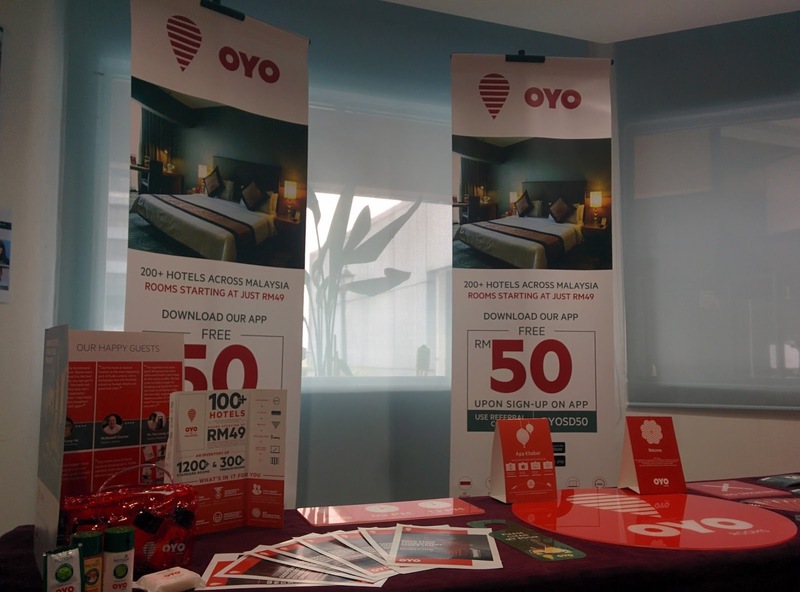 You need to download the OYO App to make your hotel booking. 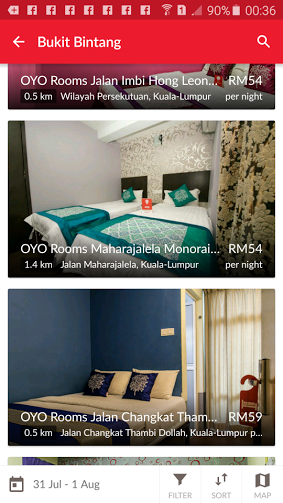 For first time bookings, you get RM50 off by using referral code OYO10X. 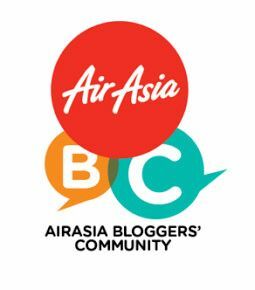 For subsequent bookings, please use my buddy code MYBUD381 to get 20% off your bookings (capped at RM 40). Download the OYO App HERE. You can search the hotels by city or landmark. Bukit Bintang hotels searched on my mobile phone. For more information, you can visit their Facebook at https://www.facebook.com/oyo.malaysia/, Website at https://www.oyorooms.com/malaysia, Twitter at https://twitter.com/oyorooms?lang=en, Instagram at http://www.instagram.com/oyo.malaysia and YouTube channel at https://www.youtube.com/channel/UC1b6tyXZTHdIZ5vmgoAqn9w. 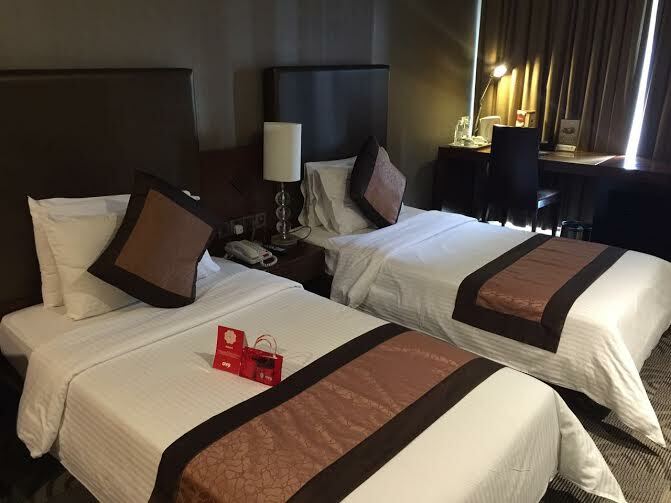 My daughter and I learnt a lot on how to book cheap hotels for our next stay. 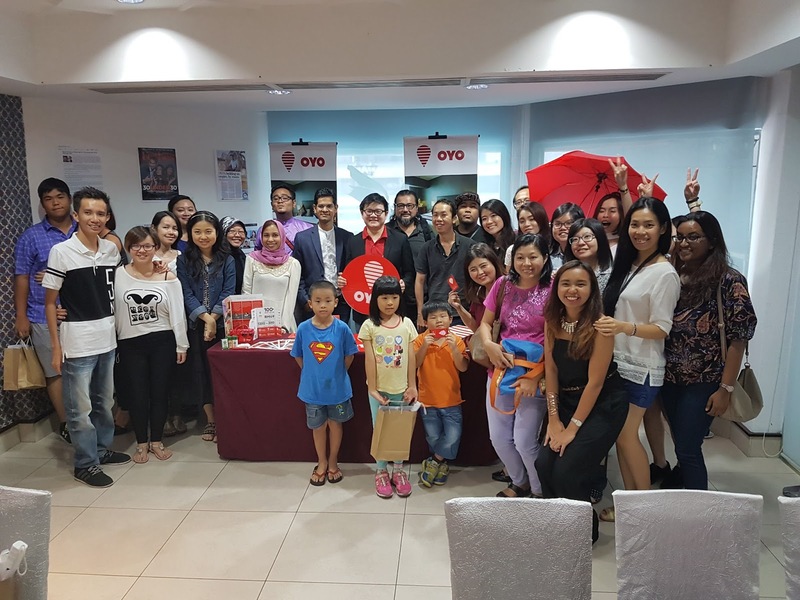 Hope OYO will expand their network to all the cities in Malaysia soon. Victor Ang, Malaysia's Country Head with the staffs of OYO at the Meet & Greet session. I was delighted to be invited to LOGO Fashion Lounge & Gallery at Evolve Concept Mall, Ara Damansara, Selangor. 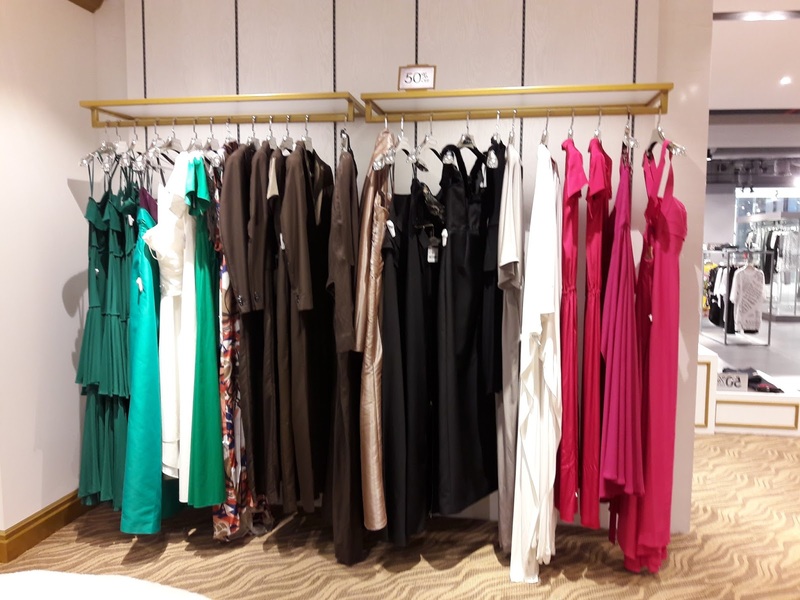 LOGO Fashion Lounge & Gallery is Malaysia's first fashion lounge with over 500 International designer brands sold at discounted prices. 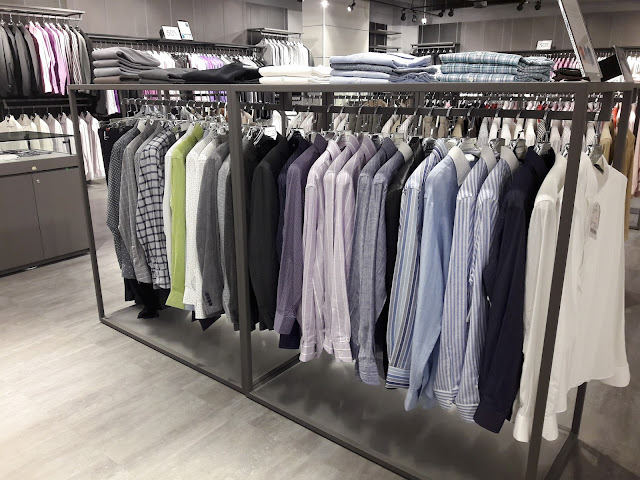 There are ready-to-wear international collections for women, men and kids. 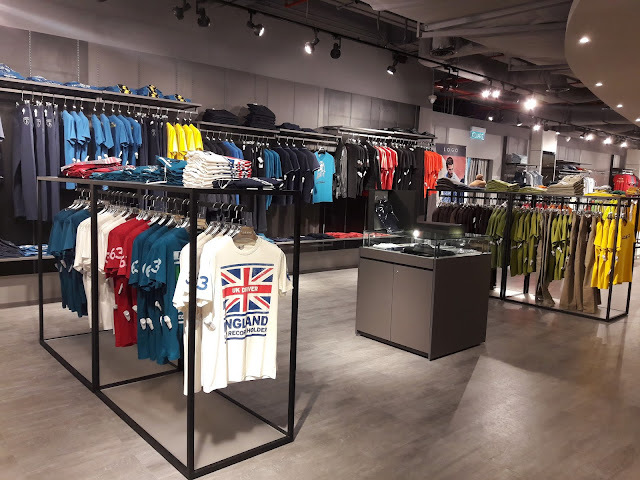 Two stores were established in 2015 - Evolve Concept Mall, Ara Damansara & concept store at Gurney Paragon Mall, Penang. Now a third store was launched recently at Freeport A'Famosa, Malacca. I was given a LOGO VIP membership card when I arrived. 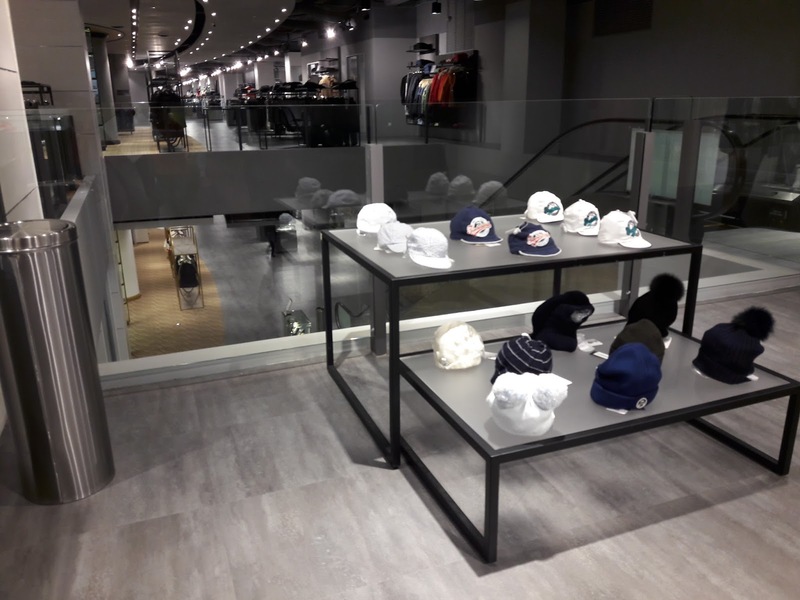 Members will be offered attractive discounts, exclusive previews, birthday vouchers, closed door sales, updates on global trends and festive promotions at LOGO stores. 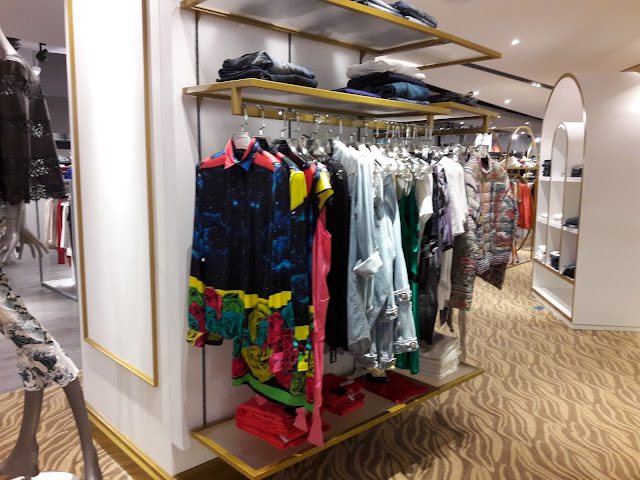 Mr. Jason showed me the VIP room where all the celebrities and VIP people can shop in peace and try their outfits. The big and comfortable changing rooms. 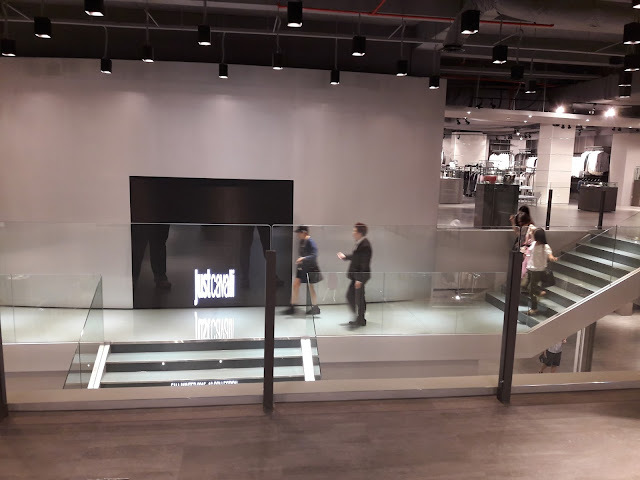 Next, I saw kids, boys section on 2nd floor. Kids clothes range is from RM 50 - RM 500. Ladies clothes were on 1st floor. 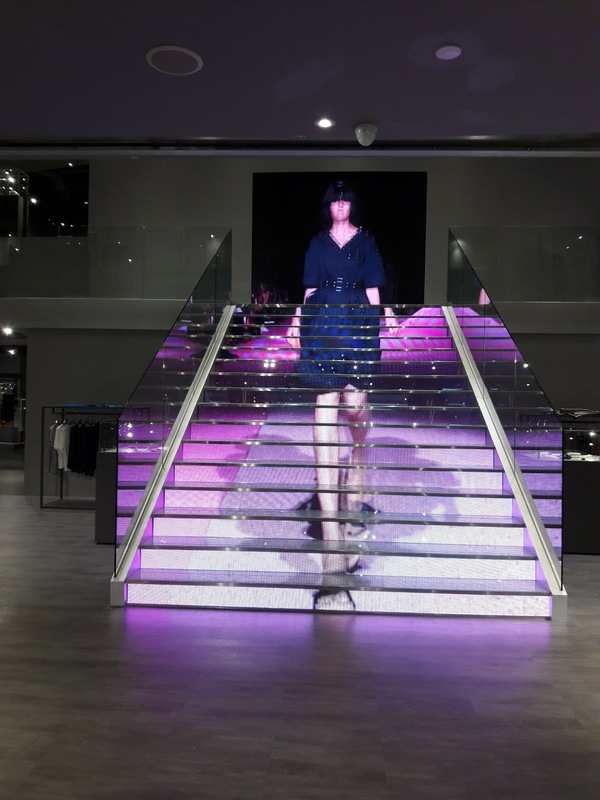 The high end shopping ambiance for the 21st century has the moto of "Less Is More". 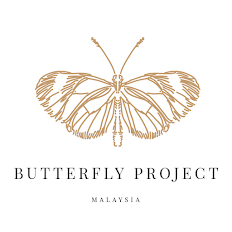 This is the idea that Daniel Beltsos, the Fashion Director of LOGO believes in. "Behind Every LOGO Is A Designer." 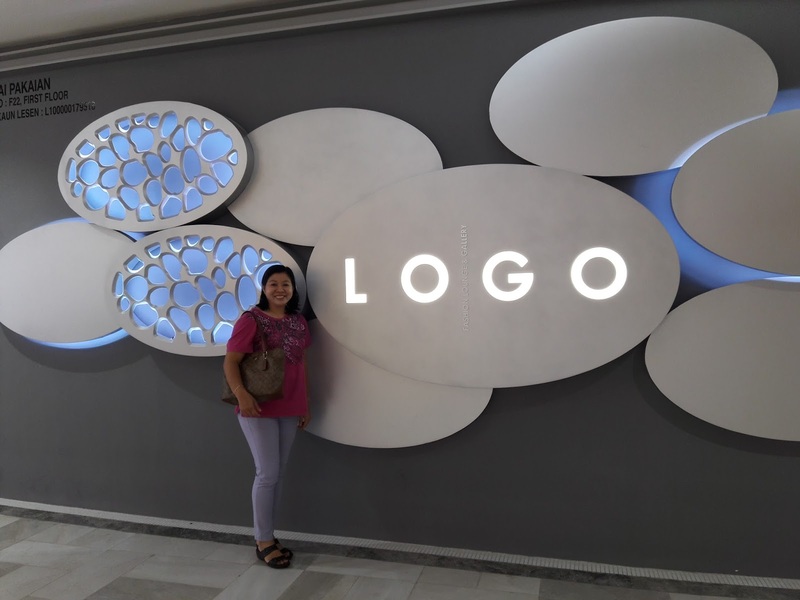 LOGO promises product originality and authenticity from global designer brands and value for money. 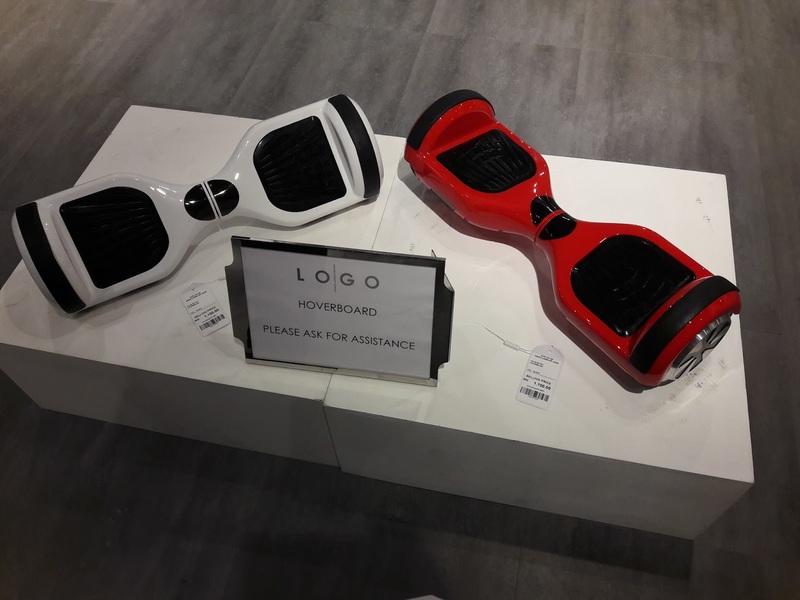 LOGO wants the best products variety every time customers shop with them. 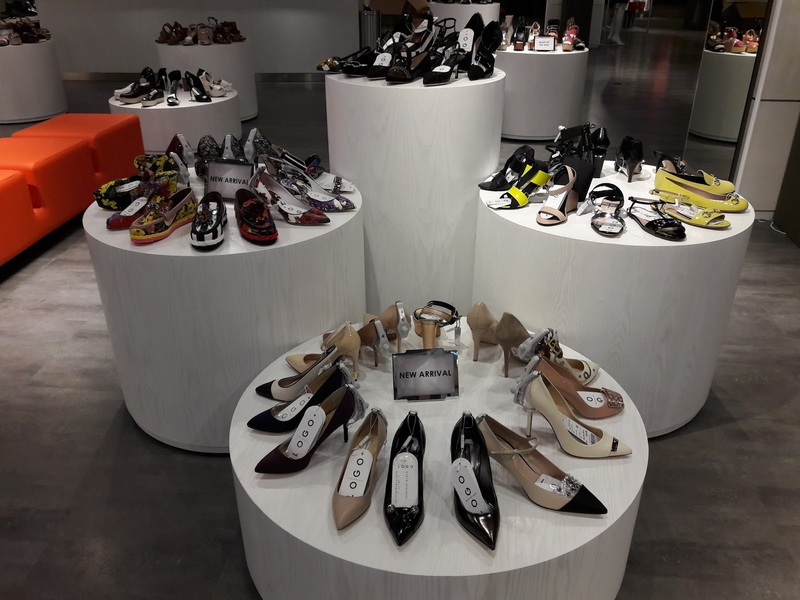 The shoes section. There were many different types of shoe designs and boots. 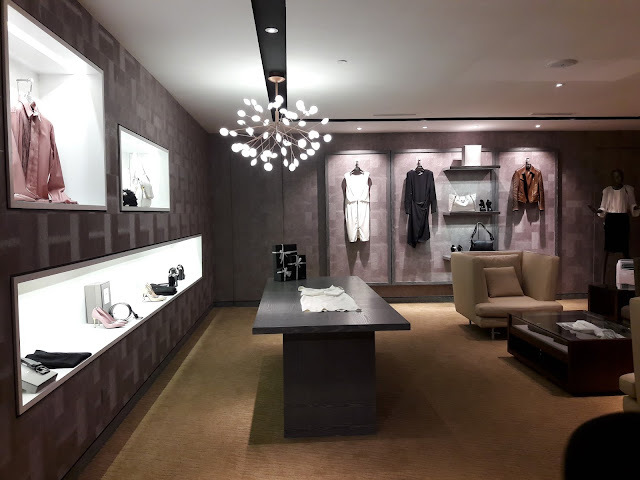 With distinctive luxury indulgence, LOGO is characterized as an entrusted place for shopping with leisure which facilitate a unique lifestyle in a comfortable ambience and promote absolute services with excellent customer care. 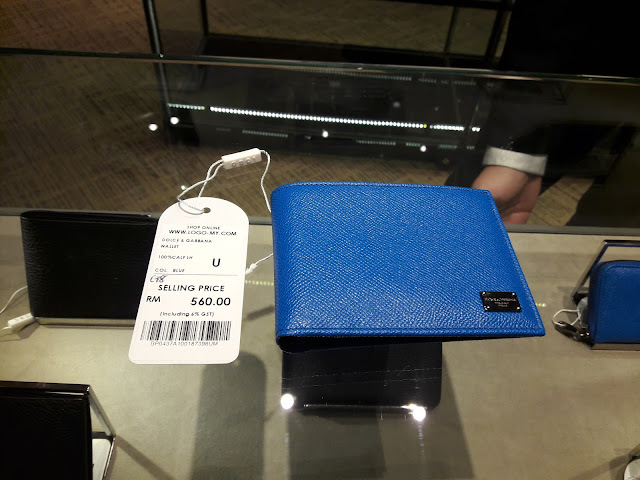 If you have the money and want to reward yourself, you can come here to shop. 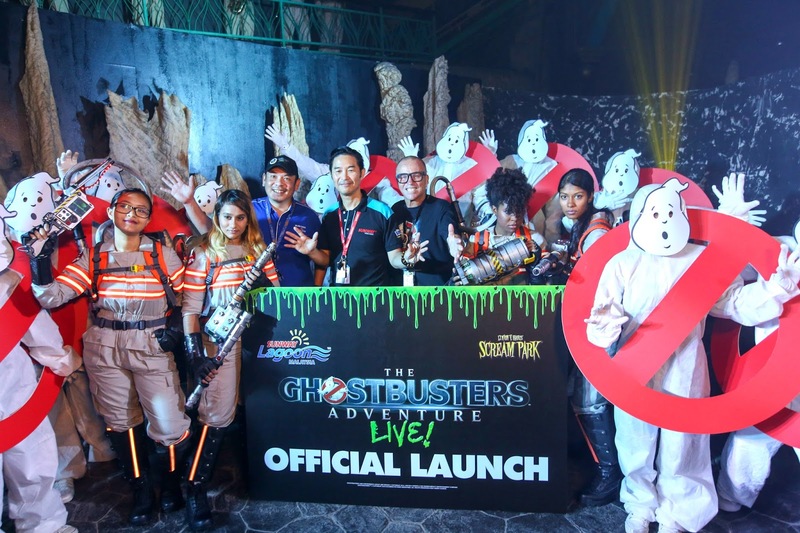 This July, Atria Shopping Gallery (Atria) treats shoppers to a lively comedy and food event. Shoppers can expect hours of belly-aching guffaws as some of the best Malaysian stand-up comedians keep you entertained with their witty and interactive comedy routine. A selection of top quality food from our tenants and artisanal outlets - is also set to keep you fuelled up from morning till night. Shoppers will also stand a chance to walk away with Atria shopping vouchers worth up to a total of RM5, 000. 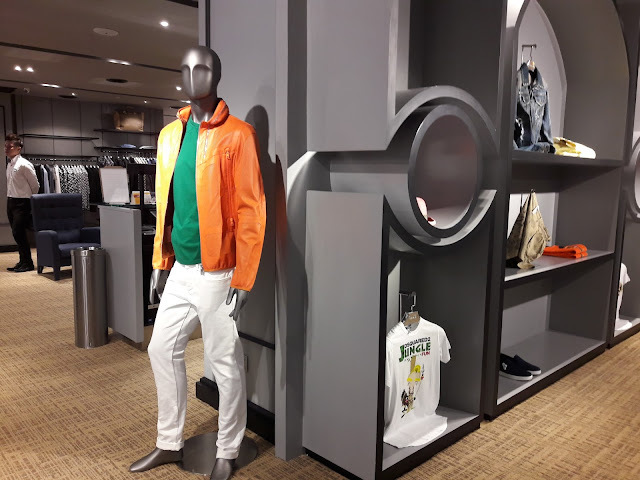 Atria proudly presents the first-of- its-kind live comedy shows themed “A Belly Full of Laughs” that is set to have shoppers roaring for more. Papi Zak, the “biggest” stand-up comedian in Malaysia will be emceeing the show which will feature some of the hottest comedians in town. Kavin Jay, Jonathan Atherton and Gajen, who will be taking turns to keep our shoppers entertained. 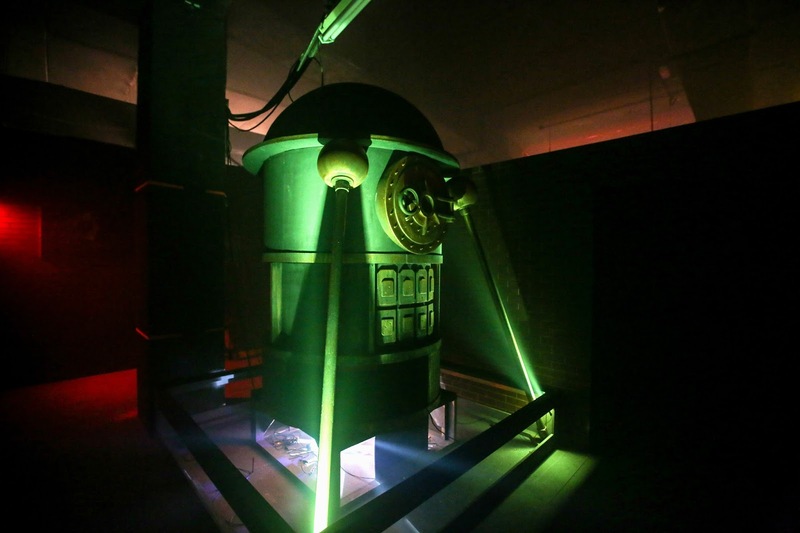 Jonathan Atherton will be presenting the first show on Thursday, 21 July and his second show on Friday, 29 July at 8pm. Kavin Jay will be on the show on Saturday, 23 July and 30 July at 3pm. Gajen, “Malaysia’s First Chindian Comedian”, will be appearing on Thursday, 28 July at 8pm while Mashi & Friend will be the opening act for every show. demonstrating the secret of cooking authentic Malaysian cuisine at Atria on Friday, 22 July at 8pm. 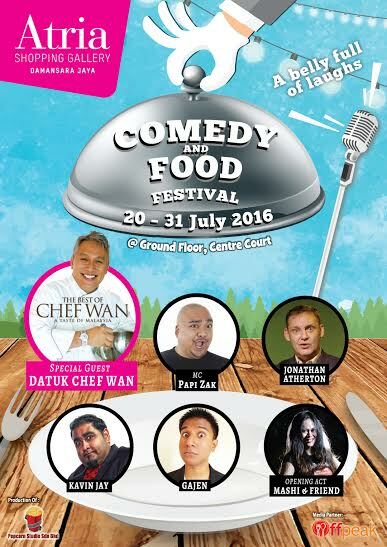 Don’t miss the chance to meet Datuk Chef Wan in person! featuring some of Atria’s favourite F&B outlets such as Pho Vietz, Go Thai, Eggu, I Love Yoo! and Hometown as well as artisanal participants such as Yummy Asia, Stick Arts and Mad Hatter Desserts. On 31 July 2016, Atria will be collaborating with The Galleria for a kid’s fashion event. The event will showcase 15 kids, ranging from 4 to 9 years old, who will be modeling their creative costumes interpretations of their favourite food using everyday items from home or school. 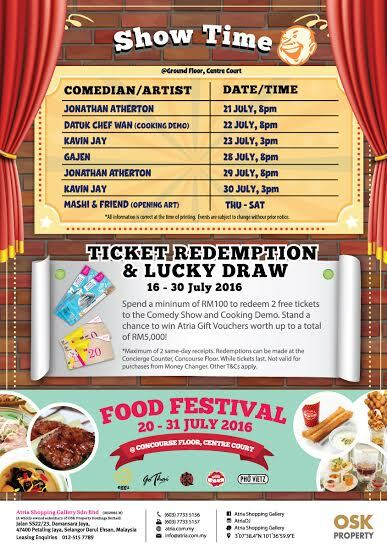 Don’t miss this chance to let your hair down and enjoy a belly full of laughs and good food with Atria this July! performer who has no qualms about opening his mouth and letting all manner of things fly out. It’s all these things that make Papi Zak one of the hottest comedians around. Kavin, one of Malaysia’s most underrated comics, is a rapid-fire grumpy joke telling machine. He may be grouchy but does it with such panache, you can’t help but laugh. He is an integral part of the comedy revolution in Malaysia and a regular host and performer for TimeOut KL’s Comedy Thursday. 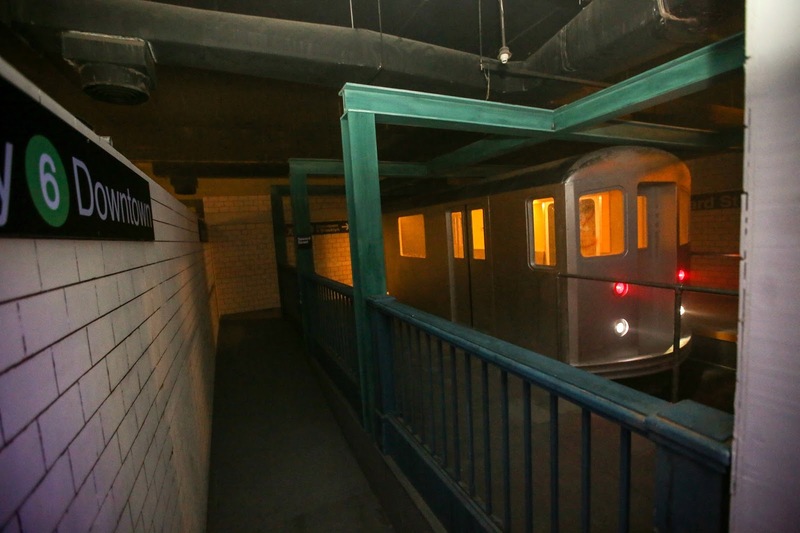 industry. As a teenager, he pursued an acting career. He made his debut in The Mango Tree and then went on to play television and theatre roles. appearing in Monash University student magazine Monga, getting interviewed by Capital FM, and even having NTV 7 film a documentary about his career as a stand-up comedian. Eggu serves crispy and fresh spherical shaped waffle which is called “Eggettes (Gei Dan Zai in Cantonese)” a famous snack in Hong Kong. 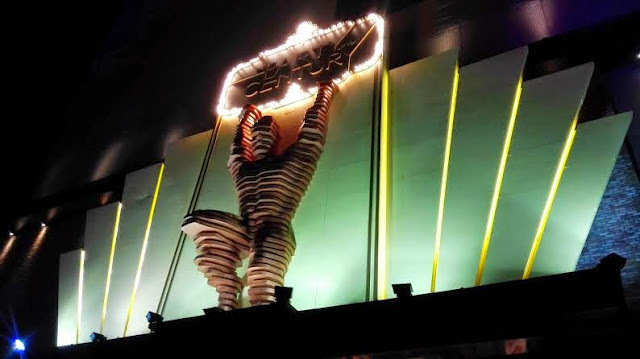 Go Thai restaurant is famous for bringing the authentic Isan Street Food to Malaysia. We want our customers to enjoy everything from Thai food ingredients to friendly service by Thai crew and chef. Go Thai signature food includes Moo Ping BBQ skewers and stewed pork leg rice and the famous tub tim krup dessert. Here at Pho Vietz, feast on as many bowls of pho as your heart (and stomach) desires! Luscious vermicelli soaked in a delicious broth made from beef bones, oxtails, flank steak, charred onion, ginger and spices adding up into a potpourri of flavours that are bound to excite. Alternatively, one can go for the banh mi, fresh spring rolls, steamed rice crepe rolls and distinctive Vietnamese coffee as well. I Love Yoo! 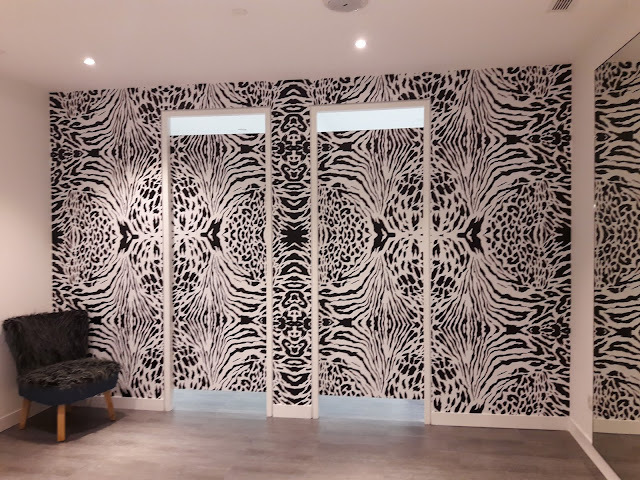 aims to bring scrumptious traditional Chinese favourites including 'You Tiao' and 'Tau Foo Fah' in a modern setting to the masses. With the business philosophy to always put their customers first, I Love Yoo! only uses 100% fresh and new palm oil for frying as well as other high quality ingredients including Canadian soybeans. Hometown’s pork noodle is dedicated to championing the best of Malaysian pork noodles. The recipe has been specially and freshly prepared with only high quality Sakura pork ingredients to ensure every bowl of noodles is fragrant and rich in pork flavours. The soup is clear and tasty with a hint of sweetness to make the noodles even more porkalicious. Stick Arts uses the best Italian ingredients and equipment to produce Gelato, yogurt and sorbet made fresh daily in-store with more than 38 flavours using natural colours with less air. Stick Arts achievement includes being the first company in South East Asia to introduce 3D gelato on a stick and the World’s First 3D Gelato flower bouquet which is suitable for weddings, birthdays, launches or events for any occasion. Yummy Asia believes yummy food brings happiness and their mission is to provide a wide range of tasty & quality Asian snack foods to their customers. Enjoy desserts prepared by the 25-year- old Marcus Low. Marcus has enjoyed cooking since his teens and finds inspiration from established chefs, as well as modern and molecular cuisine. Marcus believes his strength lies in his unique ingredient pairings. He thrives under pressure and was the runner up in MasterChef Asia. 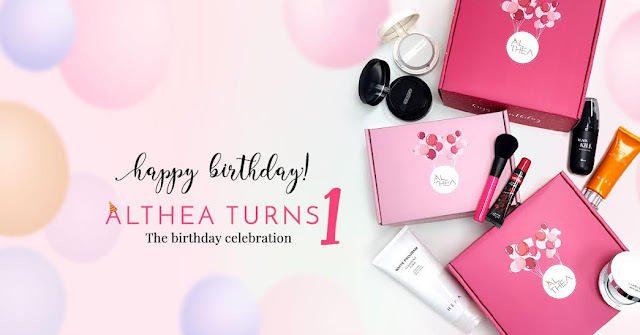 Althea Turns 1 Birthday Celebration! Happy 1st Birthday to Althea! 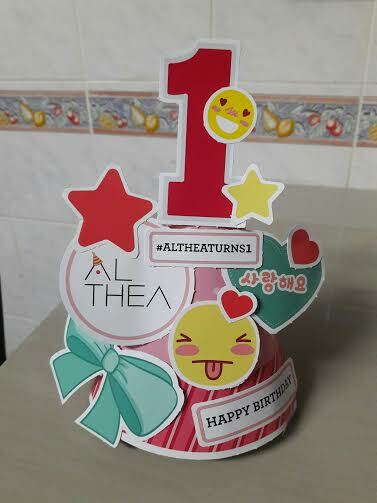 It's already 1 year Althea has brought happiness to many people. 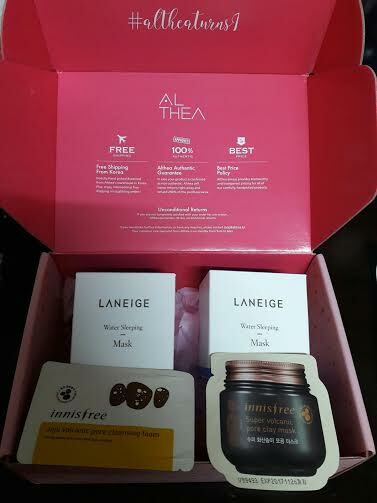 Althea represents the beauty of Korea and delivers authentic K-beauty items to the world. 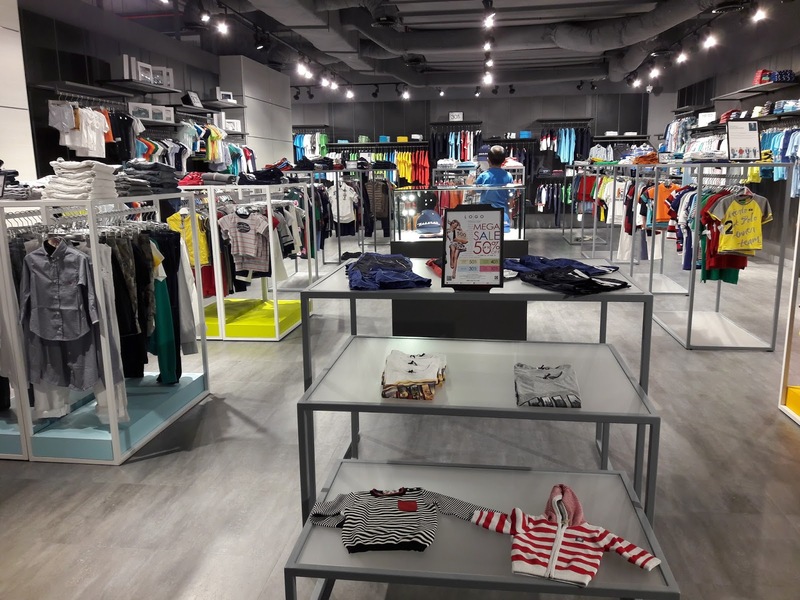 There are many brands and discounts when you purchase from http://my.althea.kr/. When you purchase RM 150 and above, you will enjoy free direct shipping from Korea and my items usually arrive within a few days after my order. 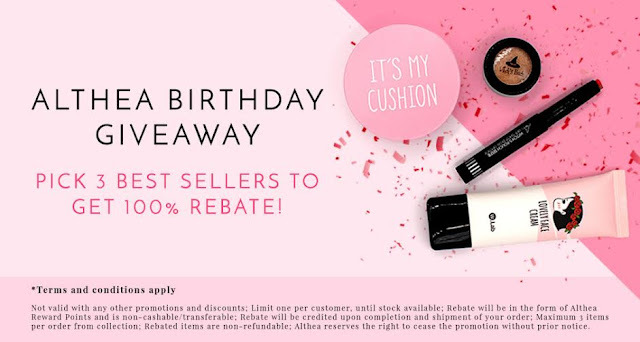 From 20th to 31st July 2016, Althea is rewarding its customers Limited Edition Birthday Box + DIY Party Kit (while stocks last), free Goodies - Full size beauty products for first 1,500 customers and Birthday Giveaway, Pick 3 Top Sellers for 100% Rebate! I was really happy to receive my order together with my Birthday Box and DIY Party Kit. 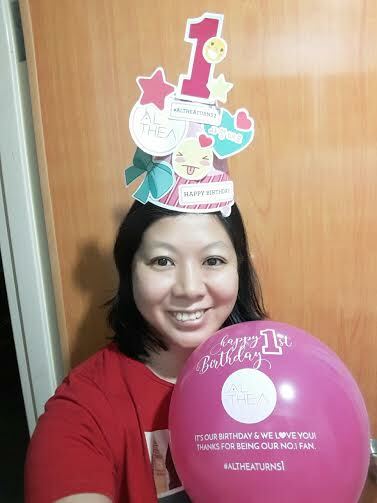 This is my Birthday hat after sticking the cute decorations on the hat. This is what I ordered recently. 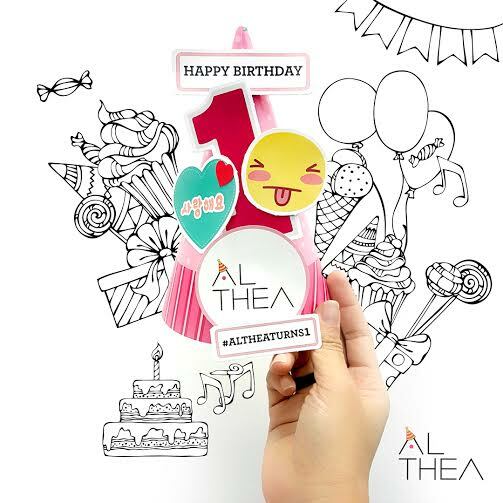 Althea is also having their #AltheaTurns1 Instagram Contest. 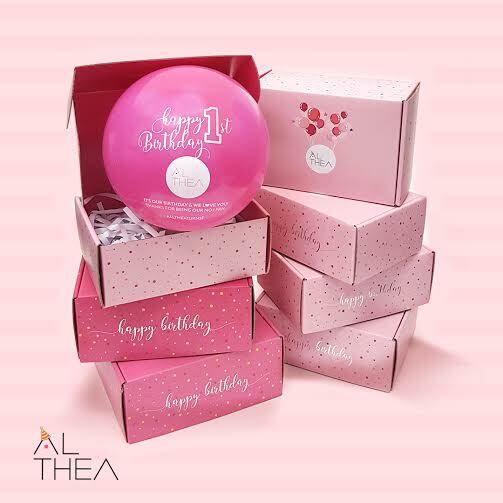 Get your party kit and post on Instagram for a chance to win amazing prizes such as Macbook Air, Ipad Air 2, iPhone 6S, Galaxy S6 Edge, Canon EOS M10 Selfie Camera, Althea credits and beauty hampers from Althea. Total worth of KRW 10,000,000 to be won! Contest starts from 20th July - 15th August 2016. 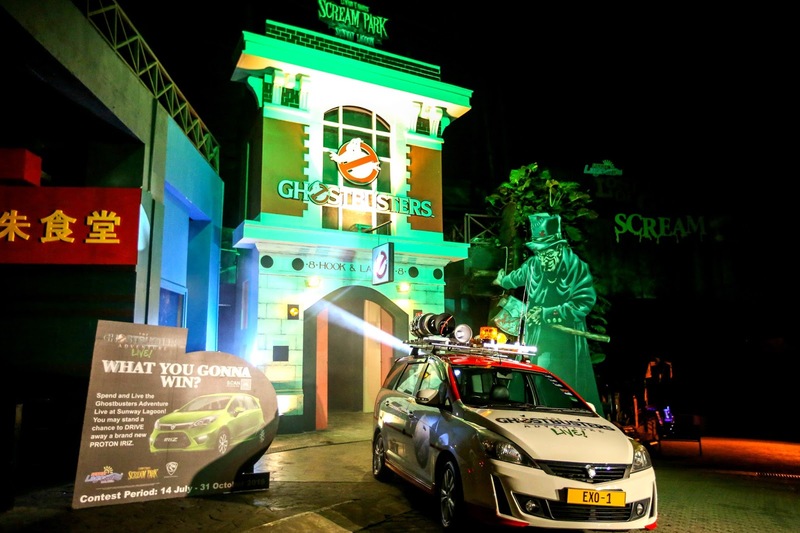 When I was little, I loved to watch Ghostbusters show. 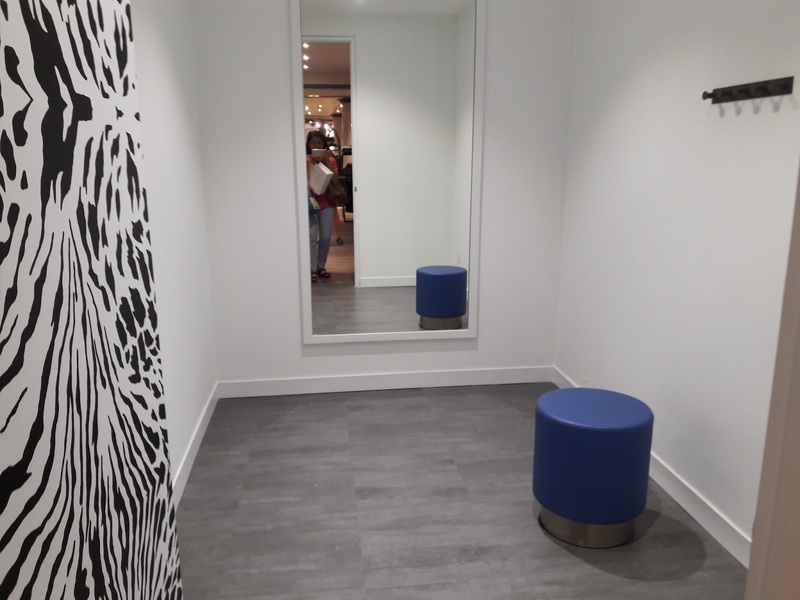 It's funny and interesting. Now, it's live at Sunway Lagoon Scream Park top level. 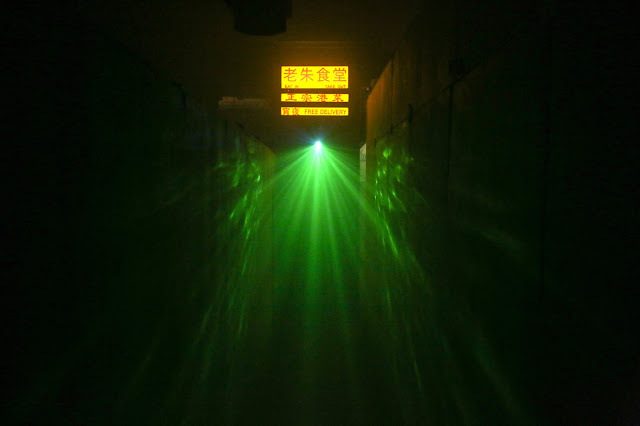 This is a 20 minutes unforgettable journey. Come and experience this yourself! Who you gonna call? 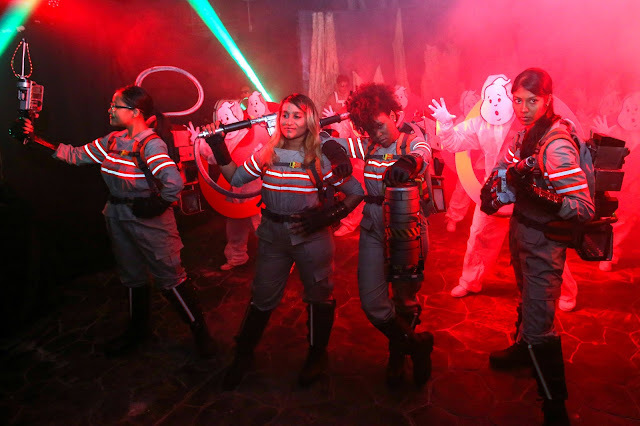 Ghostbusters! 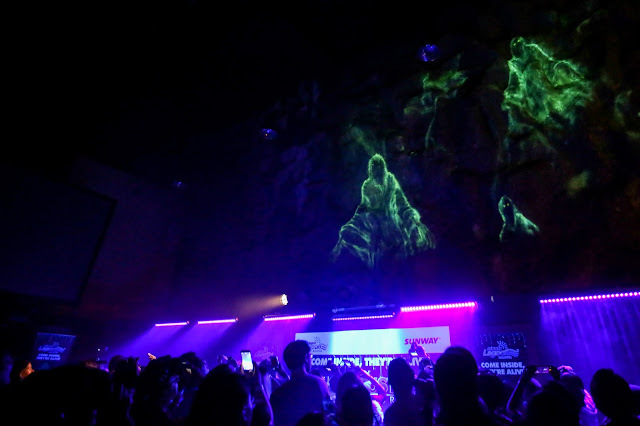 The launch gambit began as the ghosts took over the launch. The Ghostbusters arrive to save the day! 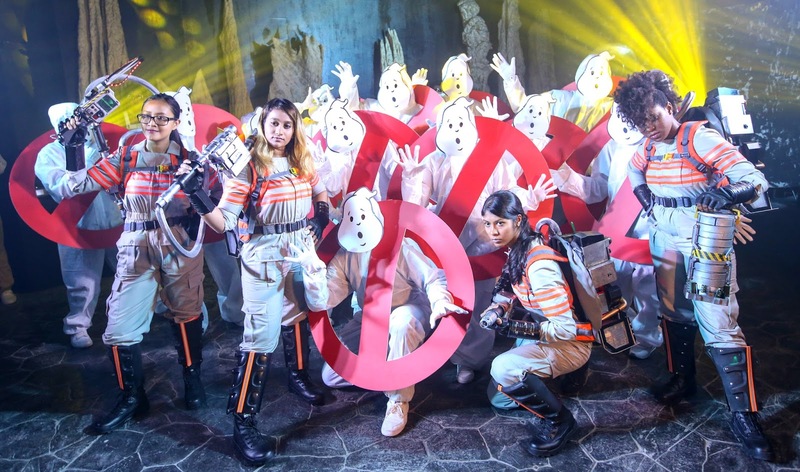 The Ghostbusters and the ‘No Ghosts’ dancers at the launch of the The Ghostbusters Adventure Live! 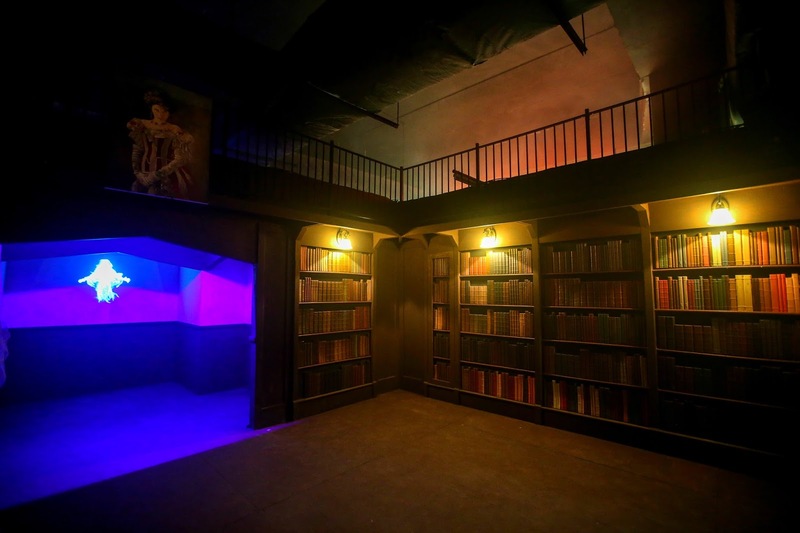 Gertrude’s Library in the Aldridge Mansion. 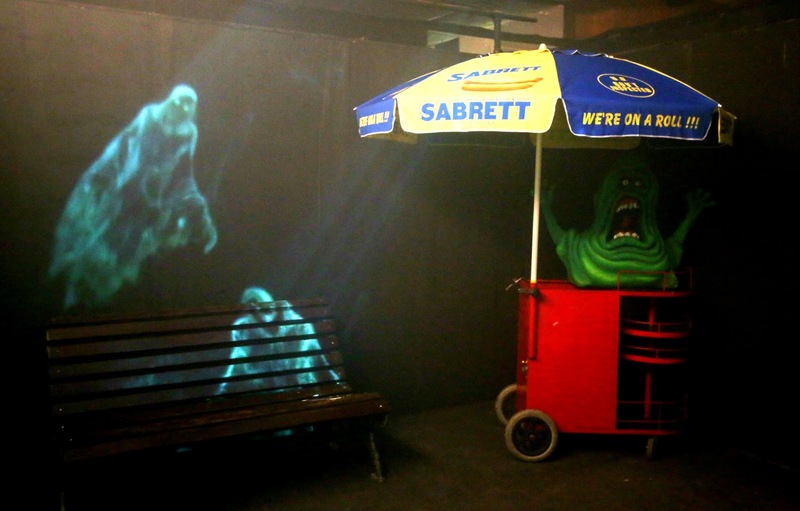 Ghosts lurk in the darkest of corners of The Ghostbusters Adventure Live!